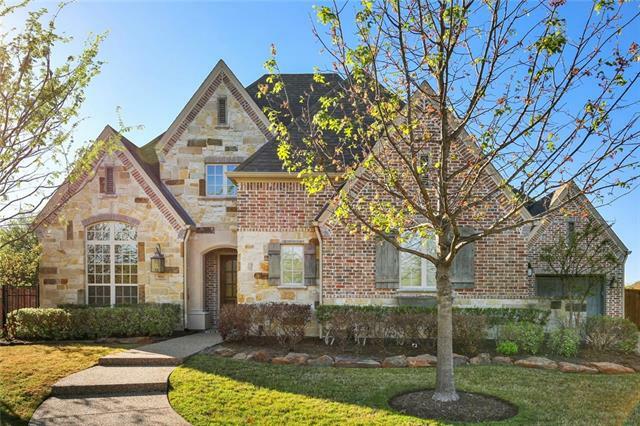 All Allen homes currently listed for sale in Allen as of 04/21/2019 are shown below. You can change the search criteria at any time by pressing the 'Change Search' button below. 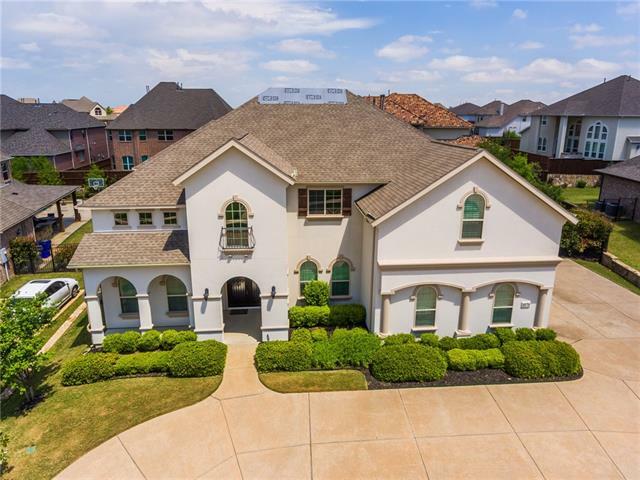 If you have any questions or you would like more information about any Allen homes for sale or other Allen real estate, please contact us and one of our knowledgeable Allen REALTORS® would be pleased to assist you. 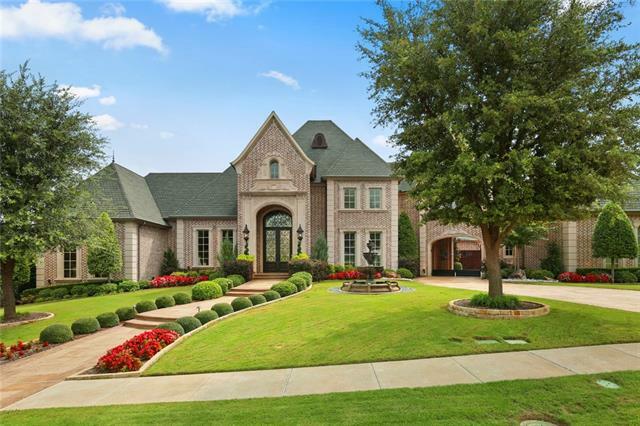 "A stunning estate located in an upscale gated community. Boasting a sophisticated and luxurious retreat that reflects that magical merging of inspiration and architecture. Spanning over 8600 SF of masterful design and eye-catching architectural features that are embodied in this opulent property. 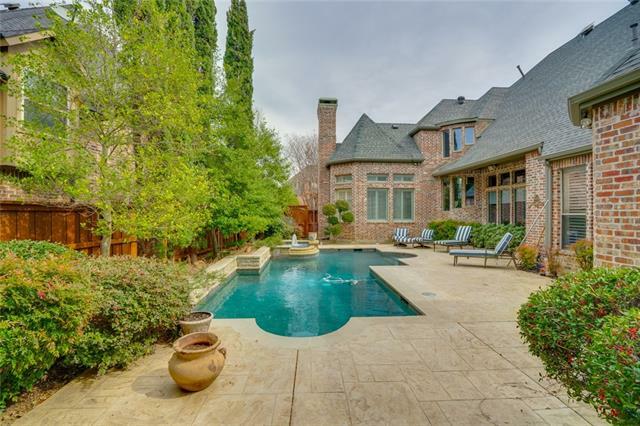 5-bedrooms, 5-full baths and 2-half baths, a highly desirable first floor theatre room and an expansive wet bar. The gourmet kitchen offers exotic granite counter tops, custom cabinetry and top of the l"
"MLS# 13892792 - Built by Darling Homes - CONST. COMPLETED Mar 28 ~ Grand entry leads to study, formal dining room, family room open to gourmet kitchen and hearth room, powder bath, master suite with utility room access, 1 additional bedroom with full bath, open courtyard; upstairs game room, media room, half bath, 3 additional bedrooms each with full bath; covered porch and patio.."
"MLS# 13854123 - Built by Darling Homes - CONST. COMPLETED Jan 31 ~ Grand double door entry, formal dining room, family room open to gourmet kitchen with dining area, hearth room with fireplace, study, media room, master suite, 1 additional bedroom with full bath; upstairs game room, three bedrooms each with full baths, half bath; covered porch and patio..."
"Exquisite custom Sanders home on the Twin Creeks golf course! Lovely view overlooking fairway and treeline on nearly a half acre. East view creates ideal shade in the afternoon or evenings for entertaining. Recently finished hardwoods flow through the downstairs living areas. Office is adorned with built-ins and coffered ceiling. Private secondary bedroom on the first floor with en suite bath ~ perfect for guests. Gourmet kitchen has european charm ideal for entertaining ~ large island, 5 burne"
"Exquisite Toll Brothers Luxury Mediterranean with Spectacular Double Staircases & Front Greenbelt View!Dramatic soaring entry w-dble illuminated staircases,custom iron balconies,upgraded marble & hardwood flooring,crown molding, archways.Elegant form liv & din rms plus 2nd bedrm dn w-full bath.Stunning 2-story fam room w-amazing wall of windows,dble mantle,built-in bookcases-Open to kitchen.Chef's kitchen offers granite oversized isl,hge pantry,tons of counter & cab space,butler's pantry w-wine "
"Stunning Southgate custom home in exclusive Hamilton Hills. Impressive detail inside & out. Extensive hardwood floors throughout 1st floor. Chef's kitchen has huge island, SS appliances--gas cooktop, pot filler, warming drawer, double ovens, built-in refrig. & microwave, lots of storage! Fully equipped 1st floor media rm with wet bar & power blackout shades. Dramatic family rm with FP has great natural light. 2 dining areas + dry bar with wine fridge. Master & guest suites down, spa-like master"
"BACK ON THE MARKET! Buyer never delivered earnest money. 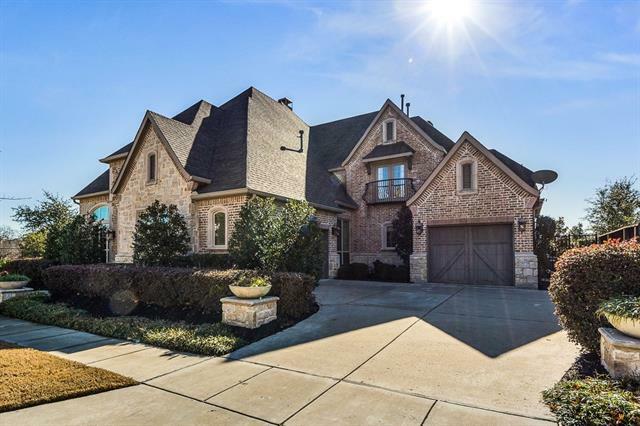 Stunning custom home on 1.3 acres in Allen with sought after Plano ISD schools. The unique property provides the best of both worlds, convenience to major retail and roadways but with the beauty of a sprawling country estate on this coveted tree lined cul-de-sac. Living is easy in this spacious home which boasts large living spaces and bedrooms, along with a flexible space above the garage that can serve as a mother-in-law suite, 5th be"
"Exceptionally fantastic curb appeal with Circle drive & fountain welcomes you to this immaculate 4 car, 5 bedroom home blending both timeless & modern aspects. 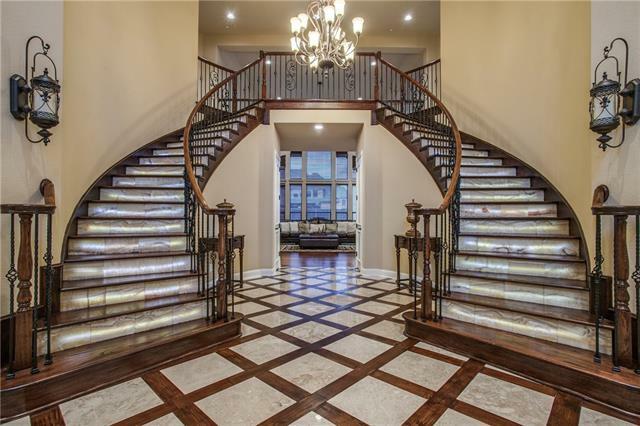 Soaring ceiling with chandelier creates grand entry w-stunning curved dual staircase & marble floors. Executive Study w-built-in, Incredible Dining w-dramatic 2 story windows, extra spacious family room. Fabulous kitchen features built-in fridge, center island w-mini-fridge, exotic granite & backsplash. Media room, guest room downstairs "
"One owner Mike Billera custom built home on 2.77 acres in Lovejoy ISD; horses permitted. High Quality construction throughout 46 concrete piers are sunk into bedrock. Beamed post-tension slab sitting on piers designed by civil engineering firm. Custom built in Oak cabinets, Brazilian cherry wood floors. Slate floors throughout halls, living dining areas. Ceiling fans in Living, bedrooms, and on patio area. This home is fully insulated with Icyneen foam including the 3 car garage which has insu"
"Wow! Check out this backyard! 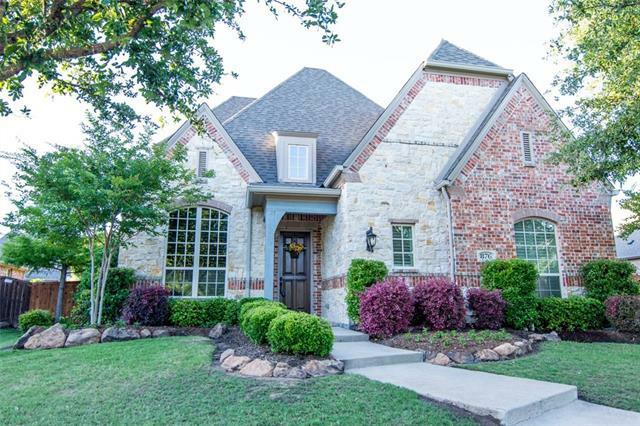 Almost .4 acre in culdesac in popular Starcreek! 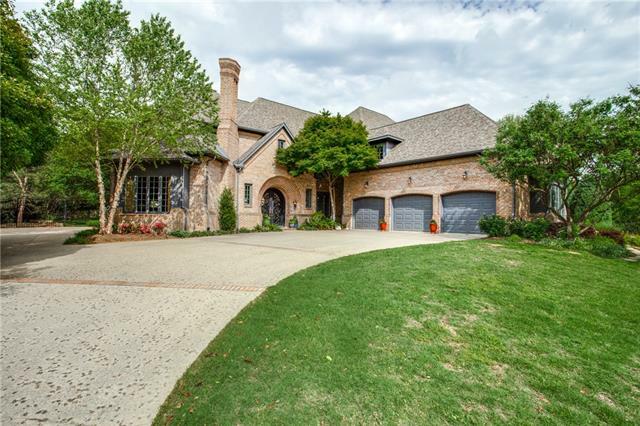 5 bedroom built by Huntington and has all the custom features you expect! Relax in your backyard paradise with pool, spa, outdoor living area plus plenty of yard. Your gourmet kitchen includes top of the line appliances including a commercial cooktop, and built in refrigerator. Beautiful custom cabinets, large island and granite countertops. Don't miss the study with a fabulous ceiling treatment and custom cabinets. 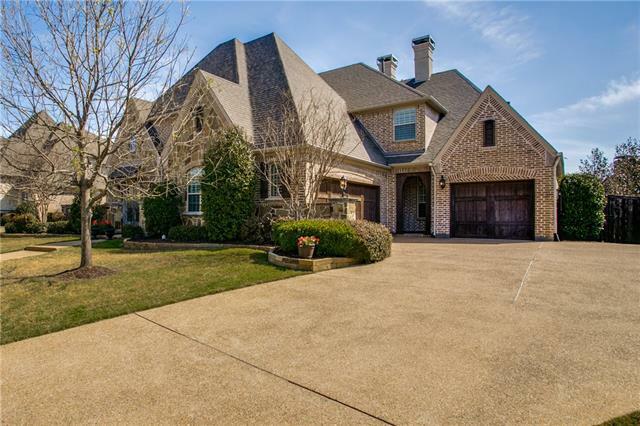 M"
"Sanders Custom Home in the desirable community of Twin Creeks Lexington. Located on .38 acre corner lot with pool, spa, outdoor living area with FP, built-in grill, large grassy area and exceptional landscaping. Hand-scraped hard wood flooring in all the living areas. All the bells and whistles. Kitchen is open to family and features a huge Island, work station, subzero fridge, wolf appliances, and breakfast room fit for a farm table. Master suite overlooks the pool and second bedroom and stud"
"Custom BELCLAIRE MODEL Home on a corner lot in wonderful Hamilton Hills. New roof 12 2018. Stylish two-story entry with curved staircase. Boasting hand scraped hardwoods, WOOD BEAMED vaulted ceilings. Gourmet kitchen has a WOLF GAS RANGE, EXOTIC GRANITE & DOUBLE OVENS, includes Refrigerator. Gorgeous master suite on 1st floor with an elegant walk-in closet! Downstairs Guest bdrm suite + Media - Mitsubishi projector, 7 speakers and 110 inch screen all incl. 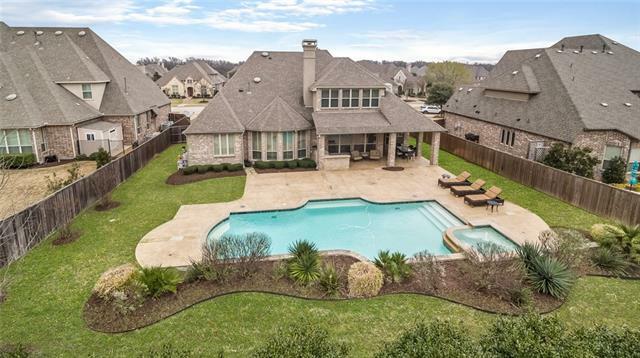 A spectacular swimming pool with wate"
"Curb appeal abounds with this 5 bedroom, 5.2 bath Huntington home. 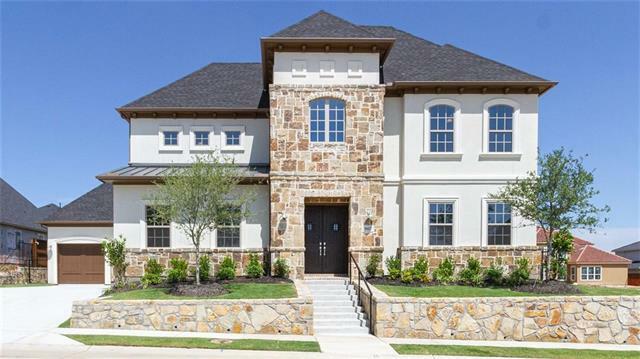 1st floor Texas-sized master suite includes large seating area, fireplace, walk-in closet & more. Eat-in kitchen is a chef's dream featuring built-in SS appliances, lrg island, dual sinks, pantry, ample counter & cabinet space. Bright breakfast room w ceiling fan & built-in cabinets. 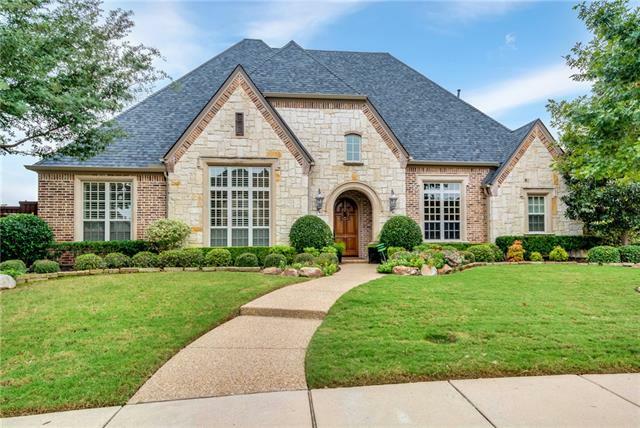 Living room is open to the kitchen w tall ceilings, stone fireplace & views of the sparkling pool make this home ideal for hosting friends & family." 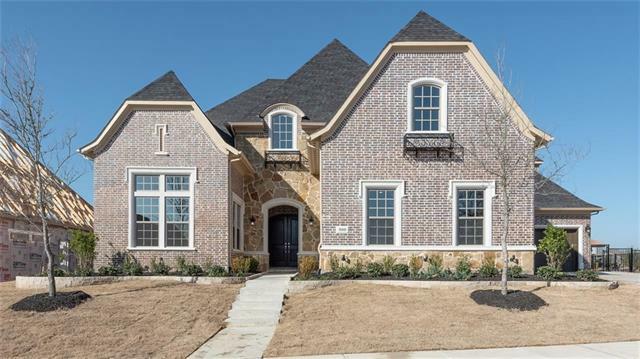 "Wow, what a stunner in the oh so elegant Toll Brothers community of Saddleridge!!! With such an impressive floor plan and in the largest home site section of the community this home won't last at such a great price." "Looking for Grand Style where it's easy to entertain all size groups? Enjoy 5 beds -all over sized w fabulous closets! Recent updates inc new carpet, fresh paint & updated bathroom upstairs! Giant island kitchen perfect for cooking, parties & projects! Oodles of storage in every room! 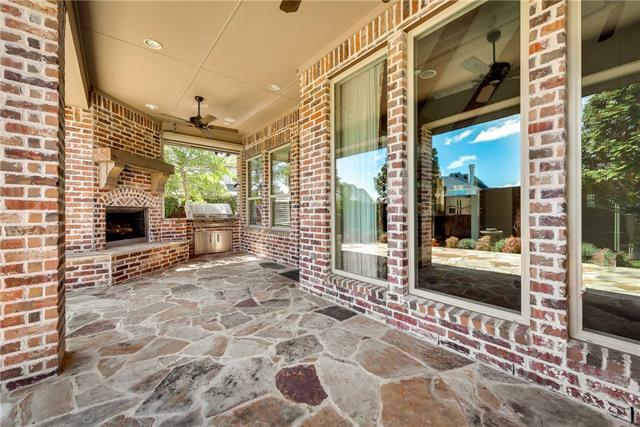 Secluded Master -huge bath-dbl shower heads, sep closets, pool-patio access. Guest suite on 1st fl. plus 3 beds, 2 baths up! Huge Game room has French doors & climate controlled storage rm. Don't miss the luggag"
"Welcome to this elegant Starcreek home situated on an oversized corner lot. The interior boasts amenities galore to suit every lifestyle with extensive handscraped hardwoods, plantation shutters & gourmet kitchen with a 6 burner Wolf ck-top, BI fridge & dual ovens. Exceptional floor plan with owners retreat & MIL suite conveniently located on 1st floor. Entertain upstairs in the spacious GR w wet bar or in the fully functional theater room with screen & projector. 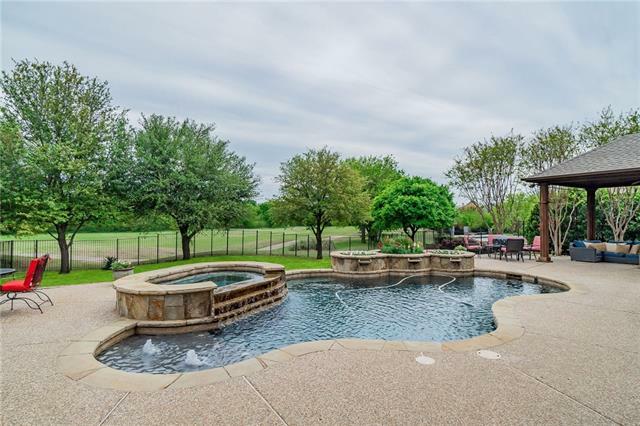 Your outdoor oasis awaits you w"
"Meticulously maintained executive home on one of the largest lots in Starcreek! Pebble Tec pool & spa, outdoor fireplace and living area all on a quiet cul du sac! Single owner home has 5 bedrooms, all with en suite baths, study, game room, media room. Plantation shutters on entire front of home. Gleaming hardwoods abound on 1st floor. The gourmet kitchen features double convection ovens, 6 burner Wolf gas cooktop, butler's pantry & a walk in pantry. 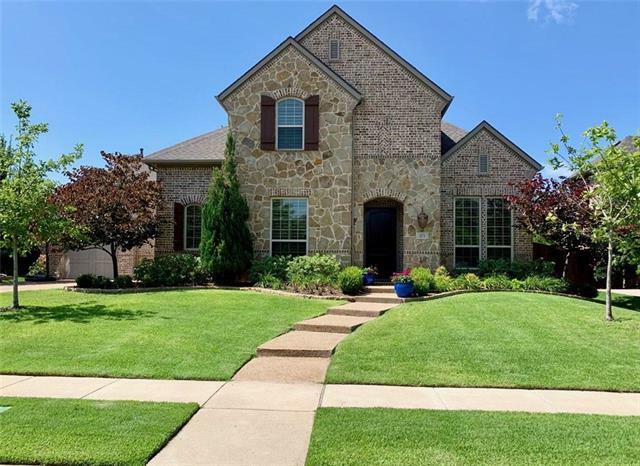 There is a second bedroom on the first floor "
"Lovely Sanders Custom Home on corner lot, facing 2-Ac Park in Prime Lexington area of Twin Creeks Master-Planned Community. 1.5 story 5 BR, 5 full+2 half baths, 3 Living, Study, 3 Garage. Designer touches include exotic Granite, Glass and Tumbled Marble Backsplash, Hand Scraped Hardwoods, Plantation Shutters & hi-end cabinetry throughout. Unique Floor Plan has 4 Bedrooms, 4 baths + Media Room downstairs. Upstairs Game Room + alcove, Bedroom and one & a half baths. Fabulous Outdoor Living with la"
"Custom Darling Home with all of the Extras on a Cul-de-sac 80ft wide Lot. 5-5.1-3 Large Gameroom with Wet Bar. Media Room Screen and Projector will stay. Side entry 3 car garage, Viking Kitchen Appliances including DBL Ovens-Top Unit Convection, Gas Cook Top. Custom Slide Outs in the Lower Kitchen Cabinets. Hand Scraped Hardwood Floors, Custom Built Ins in Family Room, New Roof and Gutters 4-2019. Custom Wood Shutters Thru Out." "Are you ready for Summer? 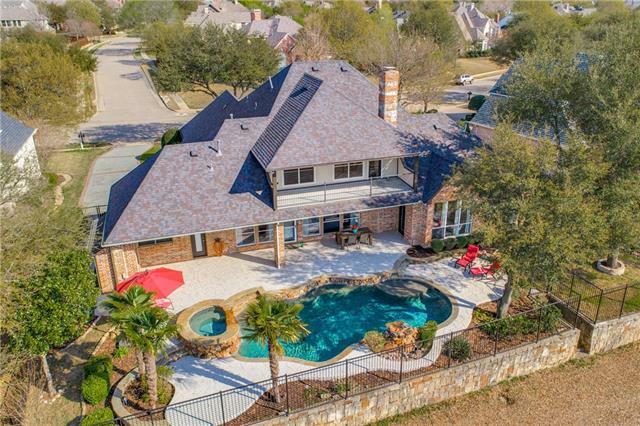 This 4 BR, 3.1B Evan Custom home provides the ultimate Summer fun with backyard oasis and views of golf course. All 3 AC units replaced March 2019! Almost every room enjoys views of pool, spa, and golf course. Updated fresh colors, granite counters, white backsplash, sink, built in Thermador refrigerator and freezer and 6 burner Thermador gas range. The Master has private 12x11 flex room that can be used as a nursery, private office, exercise room. The Master Bath has u"
"MLS# 14040745 - Built by Darling Homes - May completion! ~ Formal Dining, Study, Family Room open to Kitchen with Island and Breakfast area with Fireplace. Master Bath with Utility Room access, Guest Bedroom with Bath, Powder Room down. 3 Bedrooms, 2 Baths, Game Room and Media Room up. 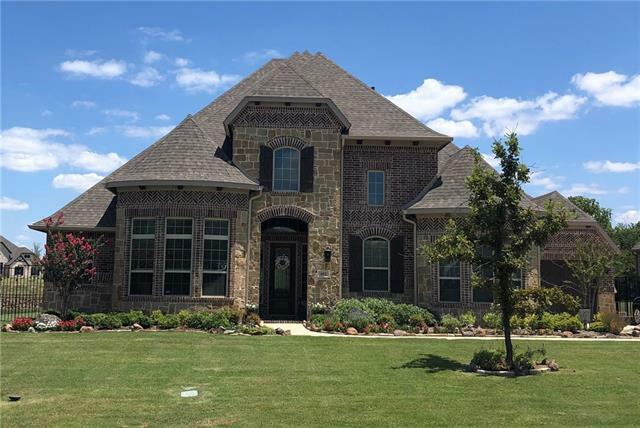 Covered Patio and 3-Car Split Garage.."
"Beautiful custom home in Lovejoy ISD overlooking a treed greenbelt and creek. 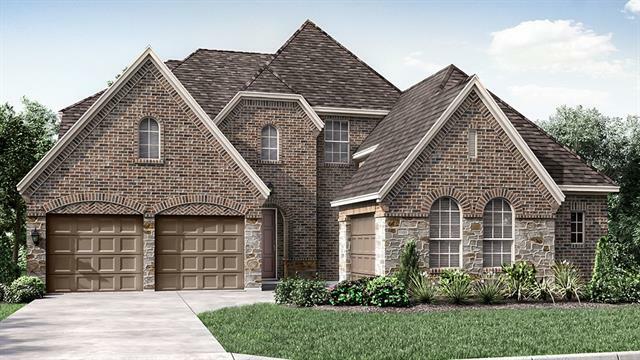 This home offers a spacious and open floor plan perfect for entertaining family and friends! Kitchen features a large island, granite counters, stainless steel appliances, double oven, 5 burner cooktop, 2 butler s pantries, and a huge walk-in pantry. Large Master with trey ceilings, sitting area, and an en-suite bathroom with a walk-in shower with dual shower heads and a bench. Large secondary split bedrooms, each w"